Although we do not provide an avenue on this site for clients and/or peers to write reviews or give testimonials, there are several sites that are set up for such reviews and testimonials and many kind people have provided reviews and testimonials for Honolulu Personal Injury Attorney Bill Lawson on such sites. The client reviews posted below are taken from client reviews found on AVVO.com, Lawyers.com and Yelp. The peer reviews posted below are taken from AVVO.com, Lawyers.com and Martindale.com. Links to the location of those reviews are provided. In some cases it may be necessary to search or even click again on the independent website in order to bring up the specific review of Accident Lawyer Hawaii - Bill Lawson. 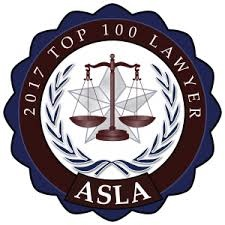 As always, we are humbled and thankful that our clients and peers have consistently rated us as one of the best personal injury law firms in the State of Hawaii. William handled my Personal Injury matter. Bill Lawson did an extraordinary job handling my long and complicated case. He worked tirelessly to uphold my rights defending me against multiple injustices. When we reached an impasse in the case he would always find a way around. It is hard to find words to express the degree of respect and admiration I have for his skill and determination in achieving a just settlement for my case. Knowledgeable and caring...we had an OUTSTANDING experience!!! My husband and I went to see William Lawson for a particular case that several lawyers I contacted declined. From the moment we met for the consultation, Mr. Lawson proved to be very knowledgeable, considerate and honest. He is a rare find. He took immediate attention to my case and results were excellent. We could not be more satisfied. I highly recommend the services of William Lawson to anyone seeking a personal injury or accident lawyer. I found Mr. Lawson from a web search online, and I was lucky enough to have found such a great lawyer. I was injured while driving a moped and the whole experience was overwhelming from the start, until I started to work with Mr. Lawson. He is someone who is easy to trust. He is passionate about what he does and was very reliable. He was able to guide me through the legal process with some clarity and realistic goals. He was available when I had questions. He responded very quickly to the numerous tasks that were required of him, and he was realistic and upbeat about my case. My case was resolved within the expectations that he set. Overall, I would recommend him to anyone, and I would definitely hire him again if I find myself in need of a lawyer again. William handled my Personal Injury matter. I have previously worked with 1-2 lawyers. While on vacation I suffered an injury that changed my life and activity level in many ways. I incurred many expenses afterwards that were not covered by insurance. I was very satisfied with Mr. Lawson as a lawyer and legal counsel. He handled my case in a very professional and thorough manner. I was pleased with the results and would highly recommend him and his staff. William handled my Personal Injury matter. I have previously worked with no lawyers. When I turned 18 I was in a car accident. Bill came to my aid. He helped me and my parents deal with all the questions we had. He took us though the process and looked out for my best interests. Thank you Bill Lawson...your help was God sent! While on vacation in Maui I was hit by a wind blown table umbrella that that was not properly secured in place. I sustained major injuries that required surgery and hospitalization. Bill was my attorney and acted on my behalf in the lawsuit against the hotel involved. Bill is a Christian lawyer who reflects his faith through his work. He is highly competent and extremely thorough! He even traveled to my home, in another state,to go over some of the details of my case.I would highly recommend Bill Lawson, he will give his clients exemplary legal representation! William handled my Car / Auto Accident matter. I have previously worked with 1-2 lawyers. We are former clients of Bill Lawson....while on vacation in Hawaii we were involved in an automobile accident caused by another driver. Bill is a very caring, christian and trustworthy man. He really cares about his client as a friend and a person and not just as "another case". He goes above and beyond and followed through with everything we needed help with. We feel very blessed to have had Bill working with us in such a tragic time in our lives. We would definitely recommend Bill as an attorney!! We are former clients of Bill Lawson....While on vacation in Hawaii, we were involved in an automobile accident caused by another driver. Bill is a very caring, Christian and trustworthy man. He really cares about his client as a friend and a person and not just as "another case". He goes above and beyond and followed through with everything we needed help with. We feel very blessed to have had Bill working with us in such a tragic time in our lives. We would definitely recommend Bill as an attorney!! William handled my Car / Auto Accident matter. I have previously worked with more than 10 lawyers. Bill Lawson took care of me as if I were family. My wife and I were amazed at how much time and consideration he put in for the concerns of our entire family. He even went as far as to give a large amount of his own commission dollars for my medical support. He truly exemplifies integrity, compassion, and all the qualities you are looking for as a representative for you and your family!!! Amazing!!! Hard to find a man of this character, let alone a Lawyer. I thank God for men like Bill Lawson!!! 10. Posted by Chad I. Bill is Awesome!!! Not sure where to begin. Hard to describe my gratitude for everything he has done for me. He is passionate, and goes the extra mile for his clients. I had an extremely complicated case! Nothing could stop him! If you have been injured in a accident---Call Bill I would highly recommend him! Very hands on approach which my husband and I appreciated. Very quick to respond to questions or concerns. Compassionate. 1. Posted by John C.
I strongly recommend Bill Lawson to assist you with your personal injury claim. He is trustworthy, skilled, aggressive, thoughtful and energetic. He is a highly capable personal injury attorney. Bill is a thoughtful and courageous lawyer. His style is effective with jurors as evidenced by his multi-million dollar jury awards. Bill has the highest standard of ethics. His personality and character make him popular with his clients and colleagues. 2. Posted by Michael C.
Bill Lawson is a lawyer and person who deserves great admiration - as intelligent and innovate as he is caring. 3. Posted by Wayne P.
Bill Lawson is a lawyer who puts his clients first and abides by the highest ethical and moral standards in the community. He has the highest legal skills in all areas of personal injury law, is a fine trial lawyer and has become a teacher and mentor to lawyers in Hawaii who handle these kinds of cases. I give Bill the highest recommendation. 4. Posted by Darl G.
William is a fierce advocate for his clients -- the type of lawyer I would hire if I needed assistance in a personal injury case. I have worked with him on estate issues tangential to his personal injury cases, and I have been impressed at his tenacity and willingness to go the extra mile for his clients. 5. Posted by David L.
I endorse this lawyer. I've known Bill since we were at Stanford Law School. I have reached out to Bill from time to time when I needed help in Hawaii, and very importantly, he has ALWAYS been responsive (which is critical when legal matters are involved). 6. Posted by Lane T.
I endorse this lawyer. I worked with Bill in successfully opposing an insurance company's efforts to remove a case to California from Hawaii where Bill had filed the case on behalf of our severly injured client, a Hawaiian resident. Bill was thorough, diligent, creative, and absolutely committed to his client. 7. Posted by Sandra Y.
I endorse this lawyer. Mr. Lawson is an articulate and effective advocate for his clients, and highly regarded within the legal community. Having known him for over twenty years, I would trust him with handling my own case. 8. Posted by Gregory M.
Bill is a lawyer I've known personally and professionally for over 30 years. He always combines high level competance with a distinctively passionate commitment to his clients, their cases and their well-being. 9. Posted by Frank U.
I endorse this lawyer. We have worked together on cases and Bill is an excellent advocate. Bill Lawson is a caring and client focused attorney specializing in helping claimants in personal injury actions, navigate the maze of insurance, claims adjustors and medical providers. He has the experience and dedication to take on those parties violating safety standards and causing needless injury. I handled a wrongful death action where Bill Lawson represented another party. He was well prepared, smart, and helpful. As an expert in tort, personal injury and insurance matters, I recommend. Bill Lawson is a deeply committed and caring person that helps injured claimants navigate the maze of insurance claims, adjustors, and medical providers in personal injury actions. He has the resources and experience to go after those responsible parties that violate safety standards, and needlessly injure innocent parties. Bill Lawson is an expert in tort law, personal injury and insurance coverage issues. I have been impressed with his trial work and handling of a wrongful death case. Mr. Lawson has been a leader in developing new techniques for automobile litigation and regularly helps other lawyers. His ethics are impeccable and he is respected for client service and ethical representation. William has become a respected leader among plaintiffs personal injury lawyers in Hawaii and currently teaches other trial lawyers new trial techniques. I have witnessed his rise in respect among trial lawyers and think he certainly deserves the highest MH (Martindale-Hubbell) rating. Mr. Lawson assisted a client we had in common in a personal injury case and because of his hard work, diligence & expertise obtained an excellent result for the client. I worked with Mr. Lawson on a complex jurisdictional matter involving California, Hawaii, and federal jurisdiction issues. He was extremely capable, diligent, responsive, and knowledgeable and we were successful in defeating an insurance companies' efforts to remove a case from Hawaii to California. I rate his legal ability at the highest level without qualification. Bill is consistently and strongly committed both to fairness in legal process and to the well-being and best interests of his clients. He doesn't hesitate to go the extra mile whenever it is called for. Excellent research and analysis of legal issues.